Below is a sample, screen shot, prove that it's April taken from last year announcement,screen shot : 2. Uploaded one. Note : if you wish to know the amount do PM me or send me a message as we chose not to disclose this on PUB for security purpose. You know webmaster, domain seller can hunt the domain if such information is revealed on the pub so it's a must for us to take this measure. This is to inform you all that we " may " move the domain to the former hosting company next YEAR. So we remain with godaddy with @" http://www.dreamstorchlight.org and let go of the. 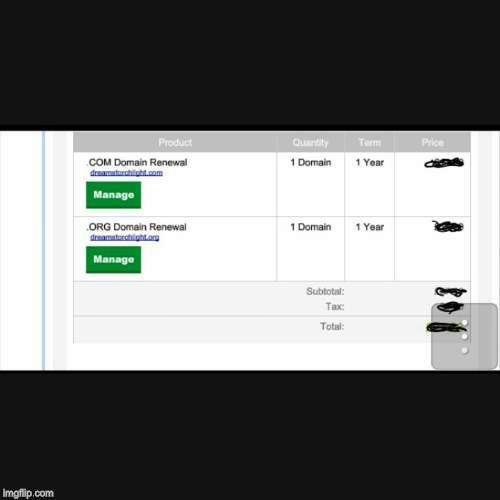 http://www.dreamstorchlight.com after April 4 while the delux(the forum content subscription is taken out of Godaddy)This is become so imperative because we've come to realized that,FINANCIALLY,' the forum might not be able to afford the new (high) charges with Godaddy. Note : during the possible swift next YEAR some of your informations or contents or almost few might go down with it or lost, next year!. We are making this announcement beforehand so that you can all prepare for the against possible switch,next YEAR! The sustainability of this ministries project (online version) is not presently strong due to financial weakness ..but with God all things are possible. May you all have a blessed new week,and glorious,in Jesus name!